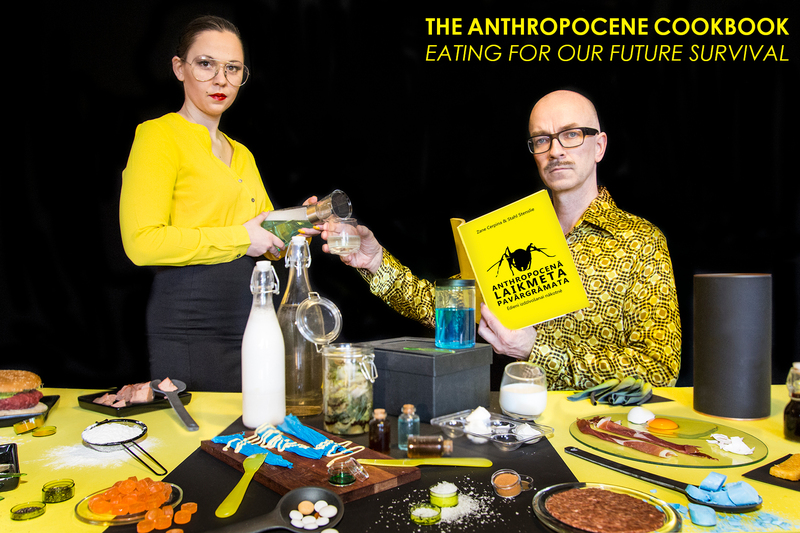 During residency artists Zane Cerpina (Latvia/Norway) and Stahl Stenslie (Norway) were working on their ongoing research project “The Anthropocene Cookbook: Eating for Our Future Survival”, investigating the future cuisine of humanity. With the presence of new geological epoch-the Anthropocene (The Age of Man), it becomes evident that „the ecological catastrophe has already happened” (Tim Morton). We have to adjust now if we want to survive.The important question for our near future is how to feed the soon-to-be -9 billion population. The project explores the most innovative and speculative ideas about new foods within the field of arts, design, science & technology. The project rethinks our eating traditions, challenges food taboos and proposes new recipes for survival in times of dark-ecological catastrophes. The artists ask how does food look from a perspective of a post-ecological catastrophe? What will the future generations have to eat but the left-overs of today ? Should we eat insect based food? Or nanotechnological nutritions? What about food printers for cooking? Or using genetic technologies to grow beef in-vitro in the lab? How can we prepare for indoor based farming? And how to turn such foods into something socially accepted and eaten on a daily basis, not just as a something exceptional or taboo’ish. How can insect based food become an everyday thing, such as Junk Food Insect Burgers for the Future? Project took form of public food experiments, lectures and discussion evenings. 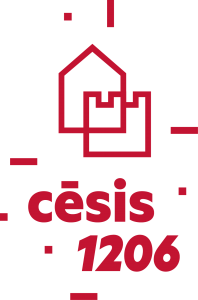 The culmination of the project was an Anthropocene Feast in the Cesis Livonian castle where the public was invited to eat the last dragon on the earth. In the program: introduction to the artists and project, presentation “Post-Catastrophe Dishes” and food performance including Crisis Menu, Anthropocene Specials (such as micro -plastics, radiation, pollution and more) and Body as a Restaurant. In the program: presentation “Food Utopias and Dystopias” and food performance including Fake Foodies, Future Junk Food, Tech Snacks and Space meals. In the program: food performance “Cooking the Last Dragon”. This event connects the past and the future into one imaginary food experiment – cooking the last dragon on the Earth. It was realized through creating an edible replica of a human size dragon, grilled on a live fire. The event aims at provoking the visitors to reflect on how has our kitchen has changed due to the Anthropocene and fantasize on the food futures. During the event the new project “Anthropocene cookbook” video were showcased and some leftovers from the last dragon cooked in The Anthropocene Feast was presented, too.